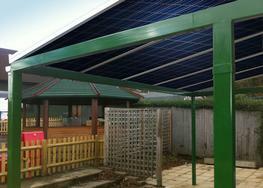 Create attractive shade and shelter in your outside area whilst generating free energy and earning an added revenue from any leftover energy you don’t use. 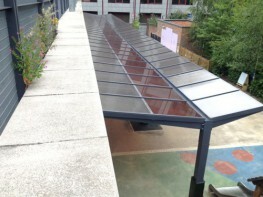 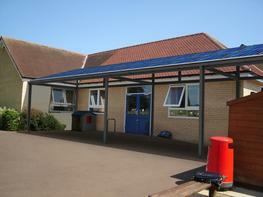 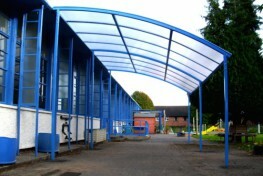 The Grange Mono-Pitch Solar Canopy has a simple yet effective design that allows you to create the shade and shelter required for your pupils, customers or visitors whilst benefiting your school or company with the government back Feed in Tariff (FIT). 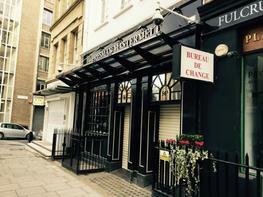 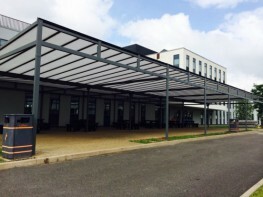 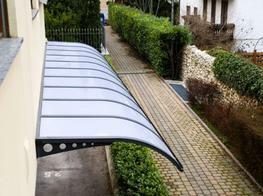 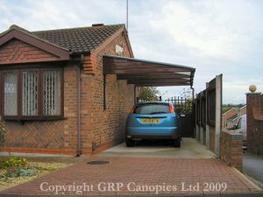 The design of the Grange Mono-Pitch Solar Canopy works perfectly against a building, making it look like a wall mounted canopy – ideal for those that do not have a building that is suitable for use as a support. 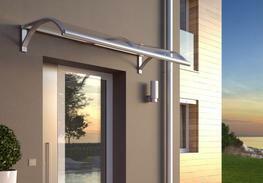 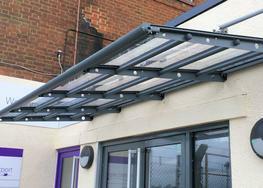 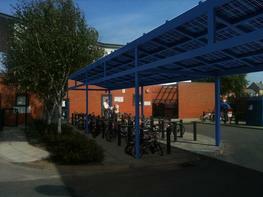 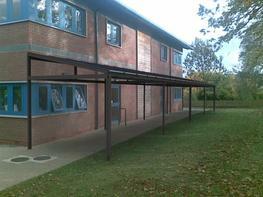 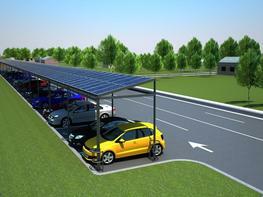 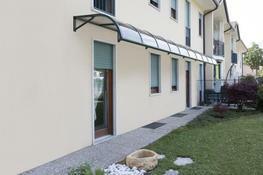 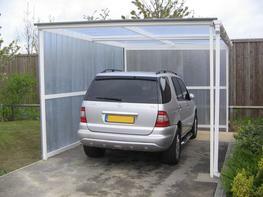 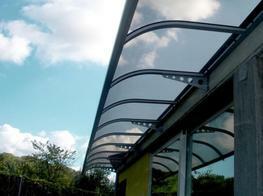 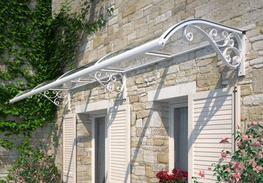 It can also be installed away from buildings to offer protection in your playground, carpark or outside dining area. 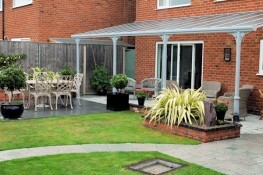 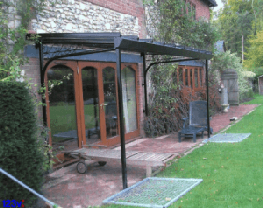 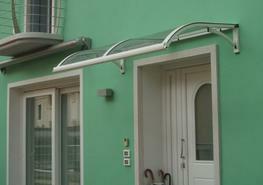 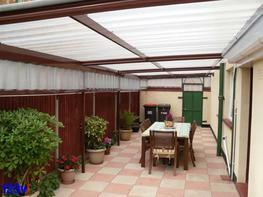 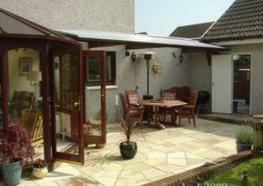 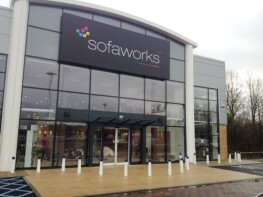 The canopy is constructed from a strong steel frame which is covered with the highest quality glass solar panels that are are supplied by the market leaders in solar market, SolarWorld.